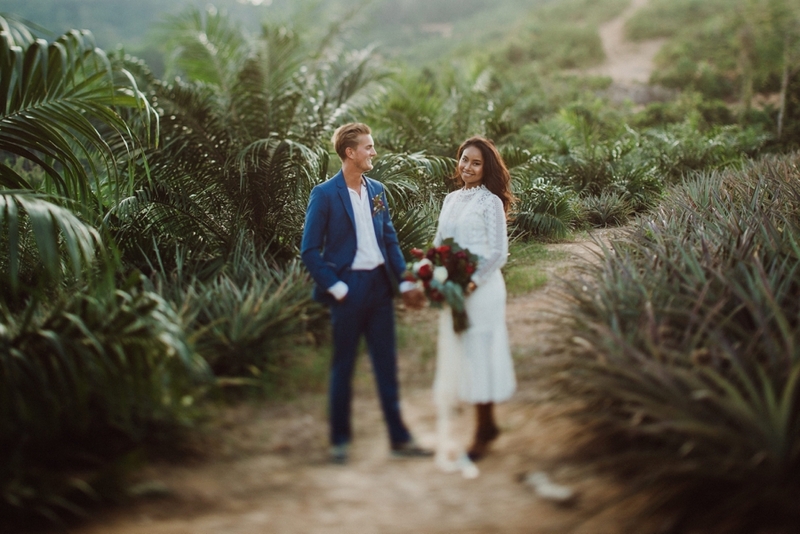 Thailand elopement photographer. 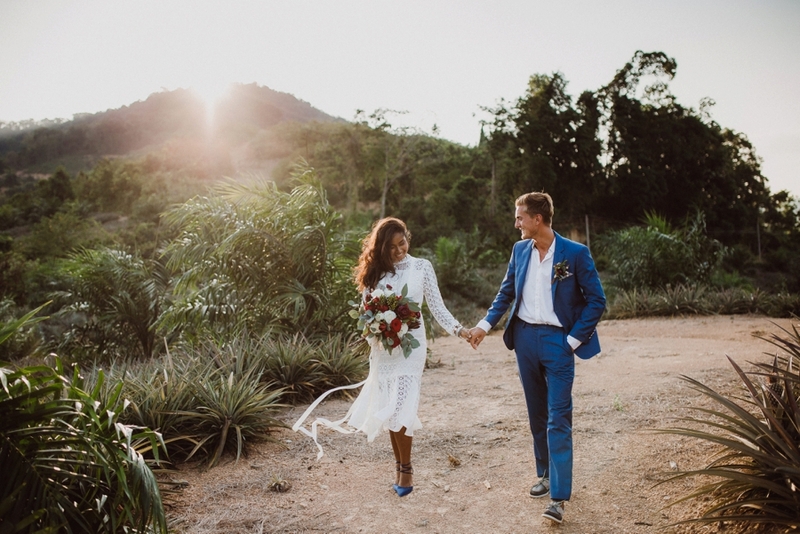 Their story began when Yohan decided to travel 9.408 kilometers from his home in France and visit the vibrant country on the other side of the world, Thailand. 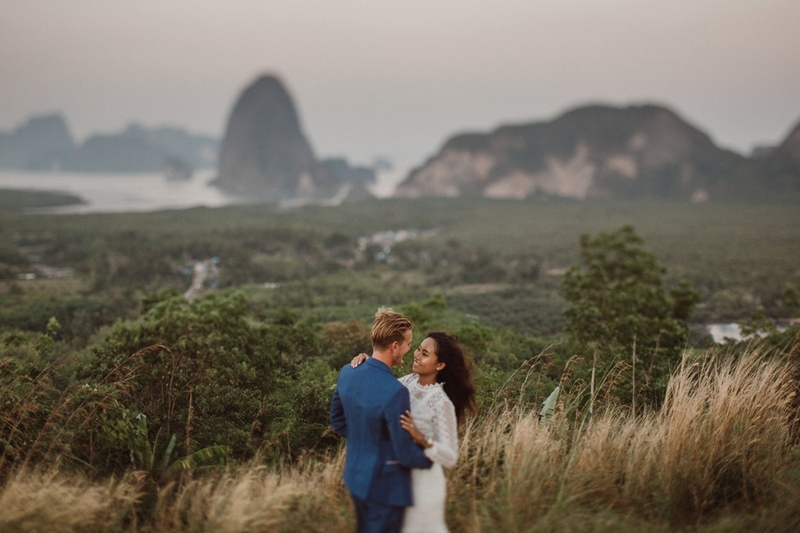 The last thing he expected was to find the most mysterious and beautiful woman he has ever met. 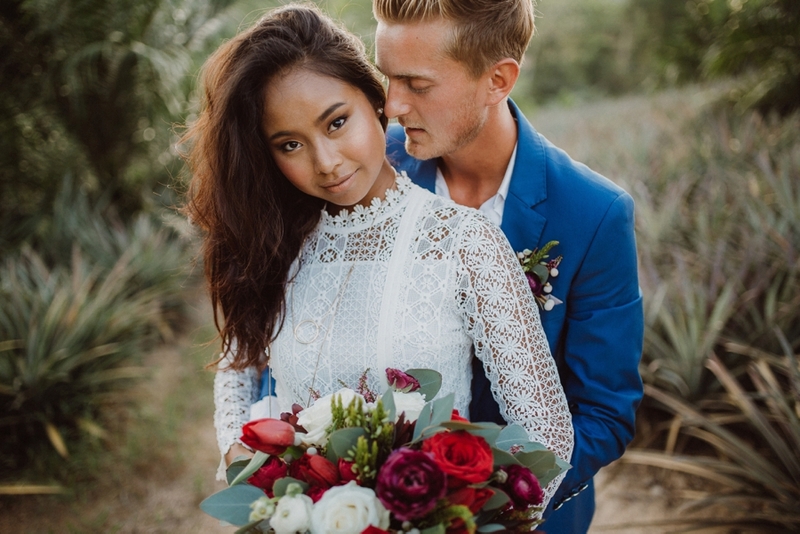 A year later Lookmai and Yohan decided to elope. 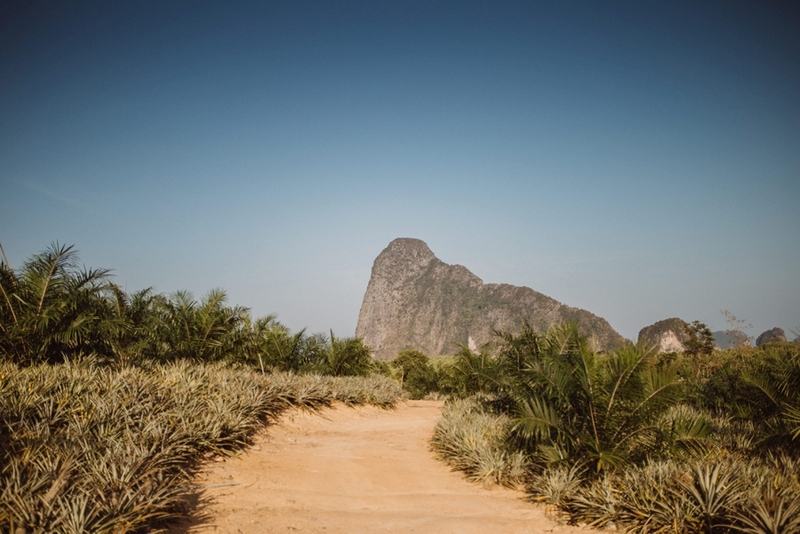 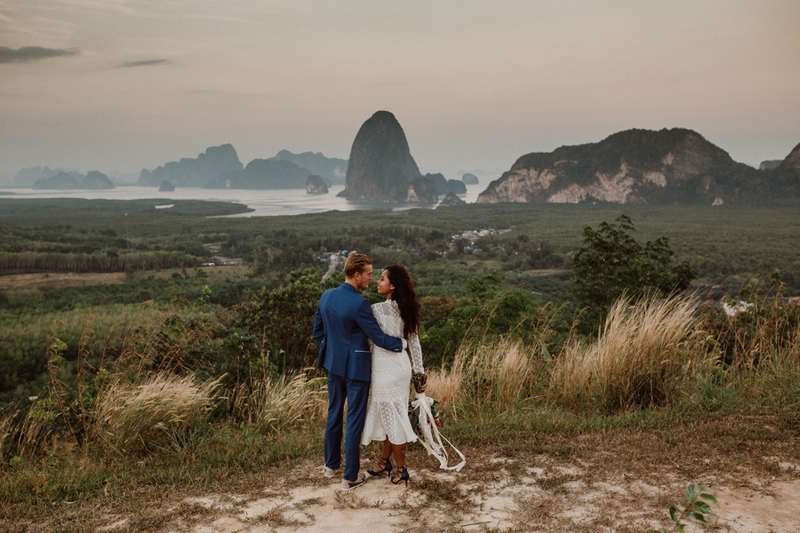 The date was set on March 1st and as for the location, there was no doubt that the destination elopement would take place where they first met, in Thailand. 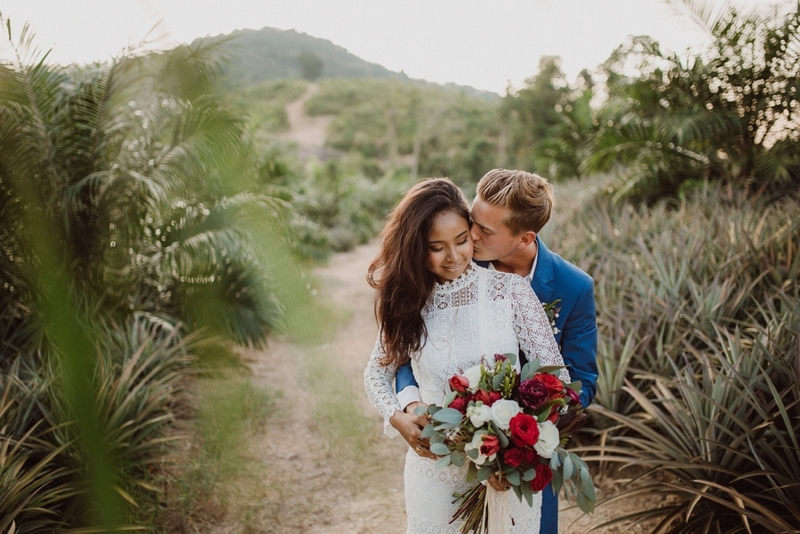 They wanted to have an intimate elopement photoshoot on the country side of Phuket and Phang Nga province. 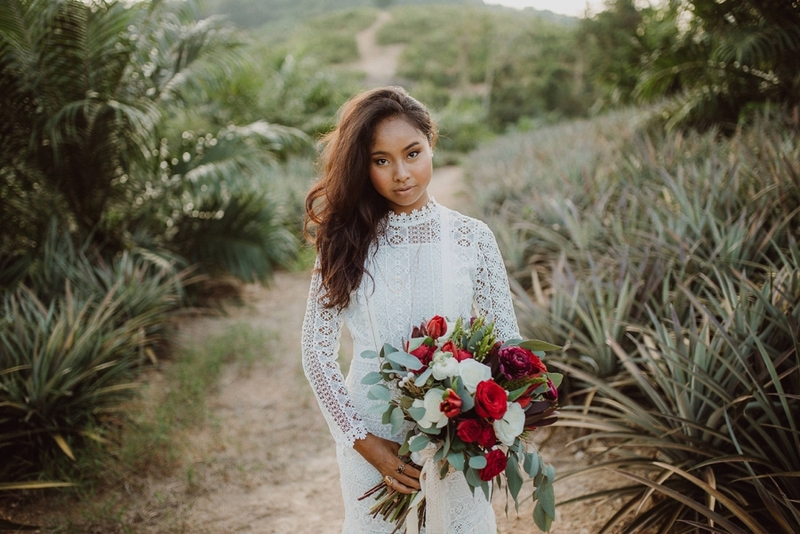 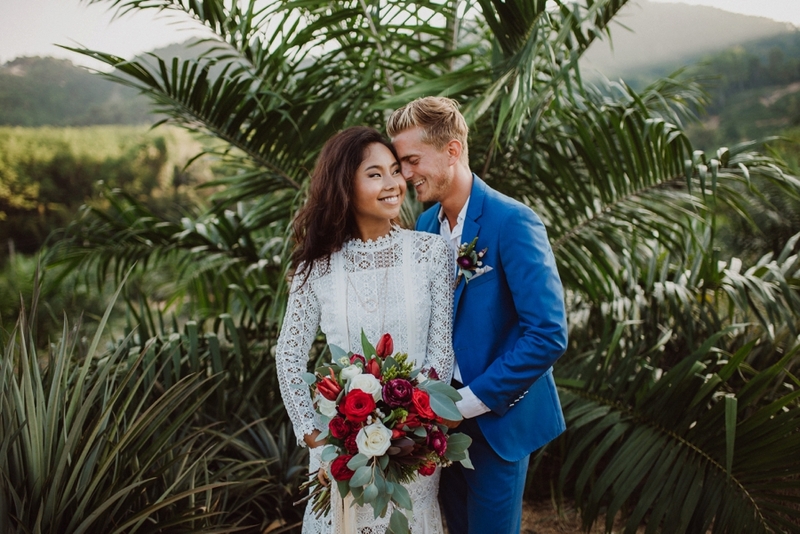 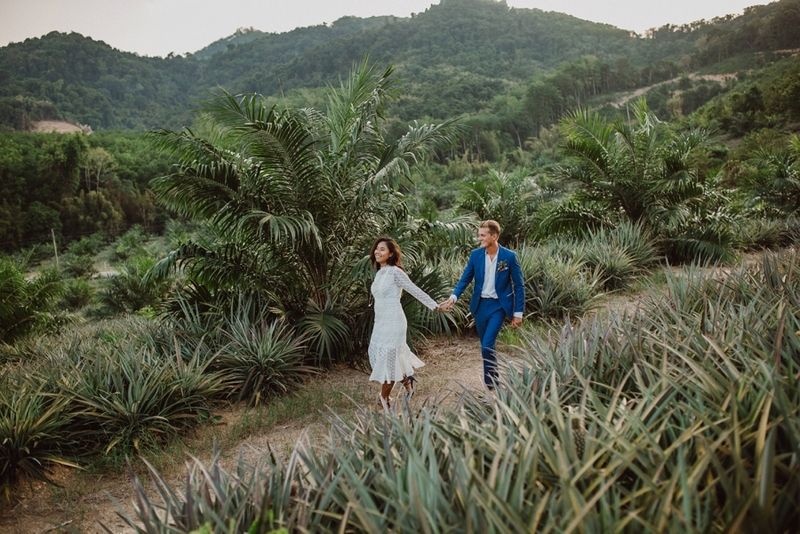 With the help of The Wedding Bliss thailand wedding planners, we found an inspiring and stunning location between the pineapple plantations called the Toh-lee viewpoint. 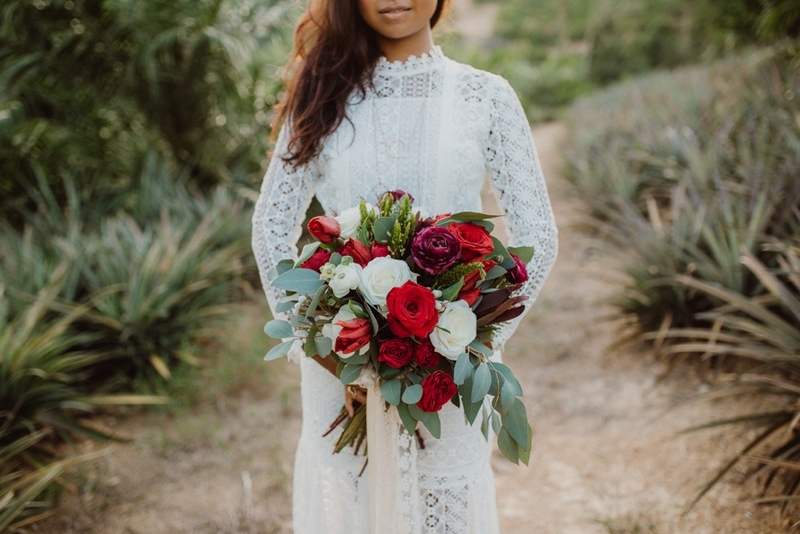 The Wedding Bliss planners also took care of their styling. 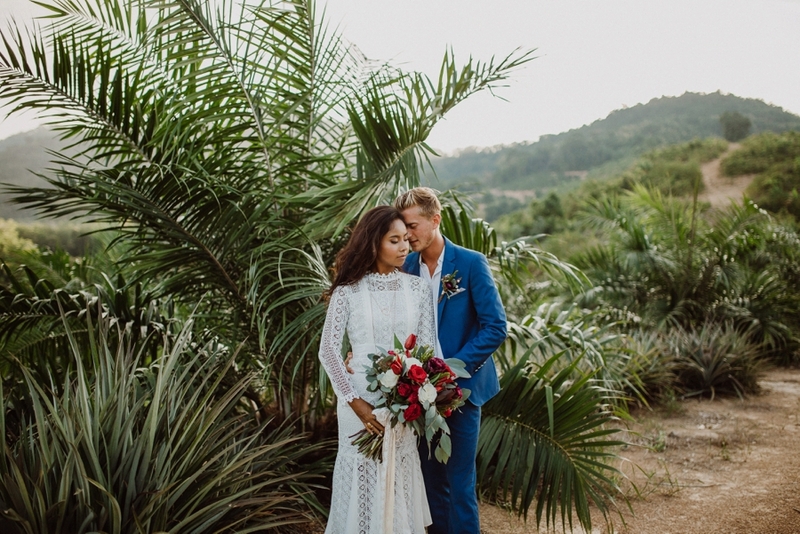 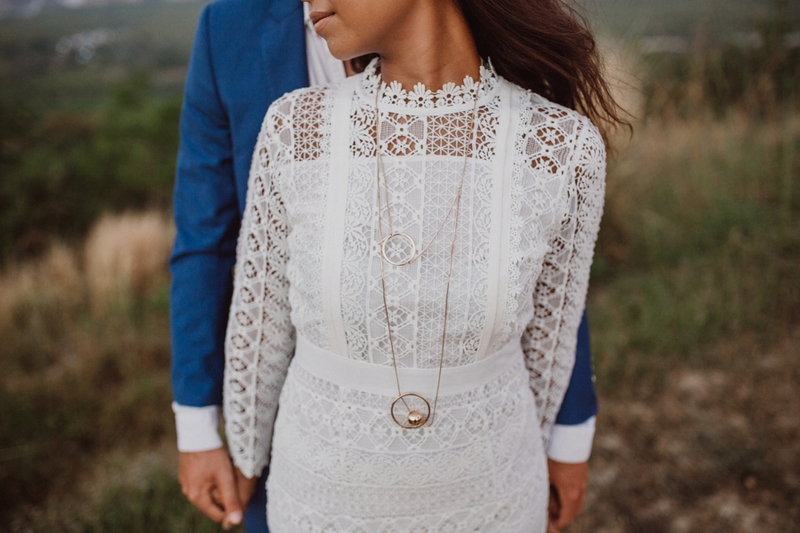 With her Bohemian style lace bridal gown, stone rings, gold necklace, silver and copper bracelets, dark red bouquet with a hint of greenery and fuchsia and of course his eye-cathing blue suit, everything was set for us to start making memories. 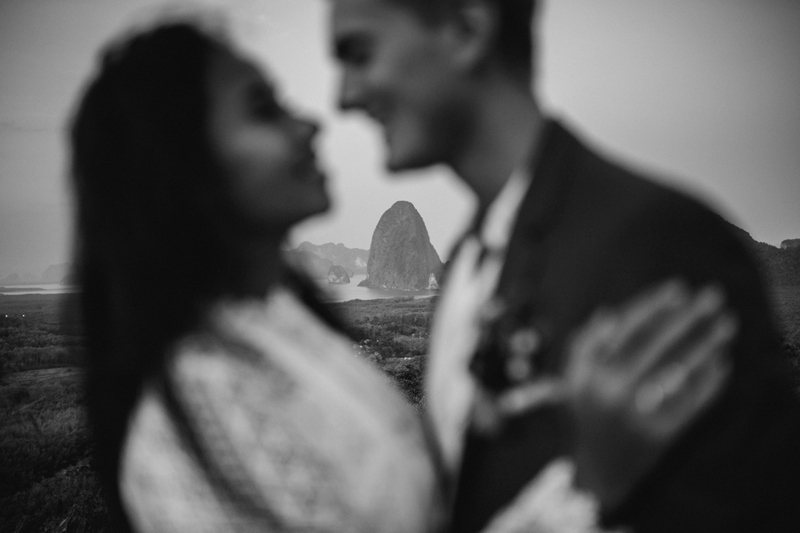 The setting was breath taking, the details were in place and the couple… well the couple was pure love. 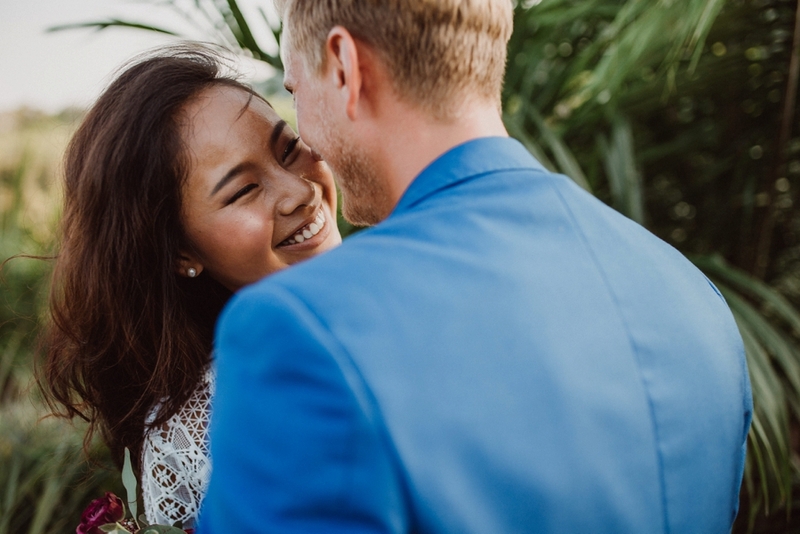 The energy they share and the love that they keep for each other translated to everyone around them and even more than that, it translated to the photos. 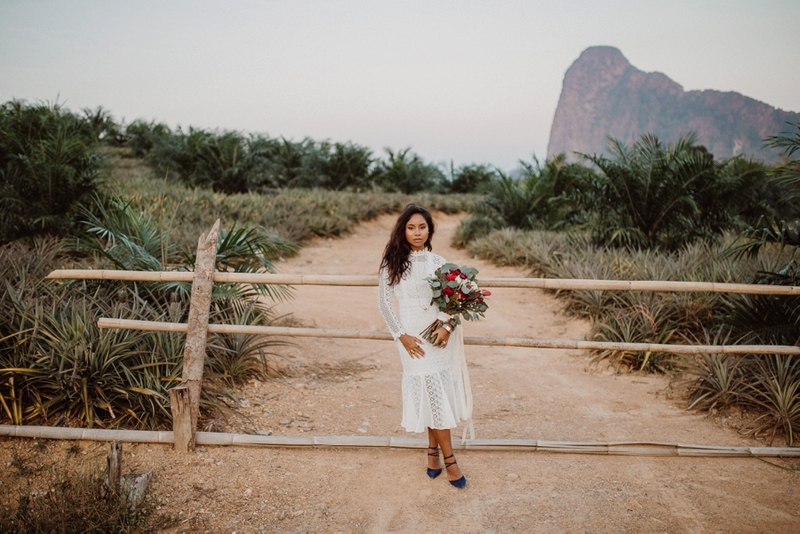 The mysterious place surrounded with palms and pineapples overlooking the limestone cliffs and islands in Phang Nga bay, Phuket became their special secret place that will forever hold a special place in their memories. 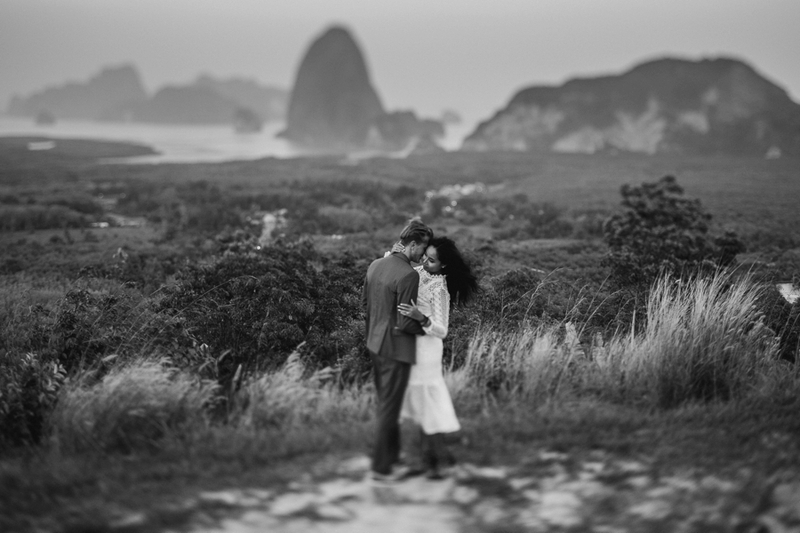 And I am honoured to have been a part of that memory.